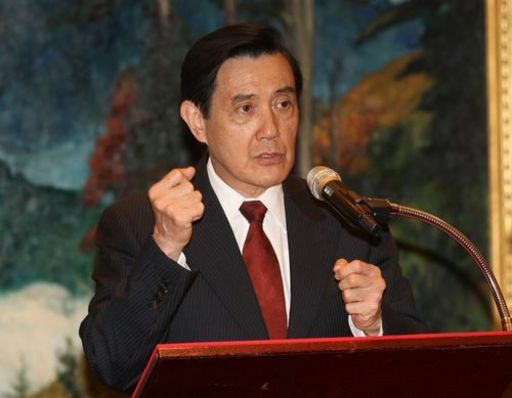 Taipei, Nov. 11 (CNA) President Ma Ying-jeou (馬英九) said Wednesday that the government of the Republic of China (Taiwan) has been striving to play a role in advancing regional peace in the Taiwan Strait and the East and South China Seas. In a meeting with a visiting delegation led by Kiribati President Anote Tong, Ma said he proposed the East China Sea Peace Initiative in 2012 with the goal of easing tensions and has called on all parties concerned in the region to settle their disputes through dialogue and consultations. The following year, Taiwan and Japan signed a fisheries agreement, which was seen a positive response by Japan to the East China Sea Peace Initiative and a precedent for managing territorial disputes while avoiding further escalation of bilateral tensions in the East China Sea, Ma said. Since the signing of the fisheries agreement, the number of disputes between Taiwan and Japan has decreased sharply and there have been no confrontations between their patrol ships, Ma said. Meanwhile, fishermen from both countries have seen large increases in their catches, he added. To replicate that success, Ma said, he put forward the South China Sea Peace Initiative, calling on all parties concerned in the region to reduce tension and settle disputes through peaceful means. He said Taiwan and the Philippines have agreed to sign an agreement that includes law enforcement cooperation in their overlapping economic waters to address fishing disputes. During the meeting, Ma also thanked Kiribati for speaking out at various international events over the years in support of Taiwan's participation in international organizations.